The Lagos Dining Table by Baxter. The dining table is often deemed as the heart of the home. It is not only a piece of furniture where food is served on, but it is also the centrepiece of the dining room – one of the main focal points and a social hub of a home. This scene-stealer of a space is often buzzing with energy and life, as seen when people bond over food and exchange stories during family dinners, gatherings and holiday parties. These days, the dining table likely has several functions at once: a surface to prepare meals and dine, a spot to entertain guests, a place to do family gatherings as well as a working space. Beyond being a crucial furniture piece however, in some cases, it needs to be flexible in size and shape. More importantly, it needs to be uncompromisingly sturdy and comfortably accommodating. Designer dining tables come in a variety of looks with an infinite combination of materials and shapes. In general, they are not cheap but are often considered as ‘investment pieces’. With timeless styles and high quality materials, designer dining tables will be around in fair condition for decades to come. This means they can be resold or handed down with ease due to their value. To choose the perfect fit for your dining room, bear in mind several essential pointers before you head to the store. If you had a dollar for every rectangular dining table you see in a kitchen, you would be cash rich. There is a reason why rectangular tables are ever so time-honoured – functionality. It is also a pragmatic choice as it offers a liveliness of style that breeds an array of diverse tables. Long and narrow rooms are where rectangle tables work well, but they are also perfect for outdoor spaces or spacious halls. The Vela Table, by Vondom. If sharp corners concern you, then a round table is your best pick. They are ideal for smaller spaces and conversations. If you want more legroom, choose one with a pedestal. Round tables also offer easy seat-shifting options, a convenience other shapes can rarely provide, if ever. The adjustable Lem Table, by Magis. Like rectangular tables, oval ones function well in long and narrow rooms. However, an oval one’s rounded corners take up less visual space compared to the rectangular variety, making the room look more spacious. What makes this shape a popular pick are the sleek and sensuous curves as well as the lengthy surface, which provides more space for diners. The Blink Dining Table, by Stellar Works. A shape that is better suited for compact spaces, and the simplest one at that. If function is your priority and you need more seating space, add leaves to transform the square table into a rectangular one. With equidistant legs, this table is perfect for four diners in smaller but cosy spaces. The Blau Dining Table, by Gandia Blasco. A good investment and a common choice for many households as it is not only durable, but it can also be refreshed and updated easily. Changing it with paint does the job, but it can also be left as it is to create a trendy weathered-wood look. If cared for properly, a wooden table can survive many years, which is why it is a costlier investment. To lend a warm and natural look to a room, choose solid choices such as oak, maple and mahogany. The Bidu Dining Table, by Baxter. As veneer or laminate tables are less costly than their solid wood, glass or marble counterparts, their biggest plus is the value. They are also non-porous, which means stains would not be a big problem. Apart from the beautiful patterns of veneer tabletops, their production is also environmentally friendly as 40 surfaces of wood veneer can be produced from one solid wood. Veneer surfaces are also not prone to warp or splitting. The Rén Dining Table, by Stellar Works. This highly durable material brings an industrial and contemporary look to your kitchen or dining room. However, metal tables are also prone to corrosion and patina (a green or brown film on metal surfaces, which grew through oxidation over a period of time). Metals are highly durable, but polish the table regularly and avoid harsh cleaning agents to avoid corrosion. The Cairo Dining Table, by Baxter. Marble is often used as a kitchen counter top but as a dining tabletop, it adds a luxurious and elegant feel to your dining space. Its heavy and textural surface is easy to clean and cool to the touch. However, as the material is naturally porous, a marble table requires regular care and maintenance. If you have young children or have to entertain guests quite often, this would be a high-maintenance choice as even a spill must be cleaned within minutes to avoid permanent stains. Romeo Dining Table, by Baxter. A glass tabletop brings a high-end and airy feeling to any dining room and it comes with a more affordable price tag compared to the marble variety. Clean and sleek, it complements and opens up the visual space of contemporary spaces. Other advantages include its low maintenance and that it is not as prone to permanent staining. If you are worried about the possibility of the tabletop breaking under excessive force or weight, be sure to pick a tabletop that is made with tempered safety glass. This ensures that even if it were to break, the glass would not shatter. Tunis Rectangular Dining Table with Glass, by Expormim. For your garden, patio or terrace, it is only natural to choose dining tables that are made out of weather-resistant materials. Common among them are natural teak, which can develop a beautiful patina (in this case, a beautiful gloss produced by age and polishing) over time from exposure to the weather and sun, as well as powder-coated steel, which is resistant to rust and rain. Take a look at Gandia Blasco’s Saler Teak High Dining Table, which is made out of solid teak wood planks and thermo-lacquered aluminium profiles. 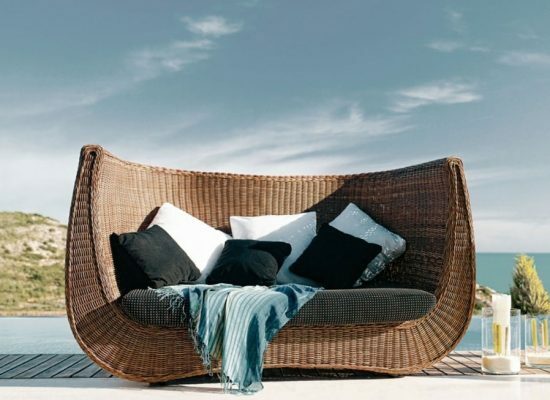 A perfect harmony of wood and steel, this piece can function alone or complement other outdoor pieces. What are your seating needs? This can be answered depending on which life stage you are at. If you are younger, you may have limited space. For many singletons, a tiny square table is suitable for eating alone or hosting a couple of friends. As an example, Expormim’s Kotai Square Dining Table is literally, a solid choice. On the other hand, a dining table with a minimum of 125 cm of length by 75 cm of width will be required for families or homes that often entertain numerous guests. For added seats and elbow room, consider a table that comes with a leaf or two, so it can be expanded for larger crowds. Designer dining tables are usually not breakable or disposable. This does not mean that you should not trust your senses. At the showroom, do not hesitate to handle the display tables. If a table looks appealing to you, lift it, pull it at the legs, examine the joints and push down on the corners. If you do not know what you are looking for, picking the right dining table to purchase can be an overwhelming task. It would be time-consuming to take your pick when you are less informed and spoilt for choice, so make sure you take advice from a reputable store. Remember that the modern home and designer furniture are all about a wonderful amalgamation of several different styles, trends, shapes and textures. 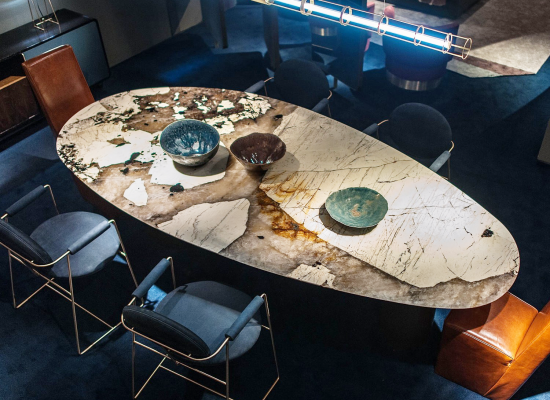 Head on to Linds Furniture at 162 and 162A Jalan Maarof, Bangsar to check out a variety of designer dining tables or browse the products here.